Dress shopping is hard because there’s so many options in so many stores. 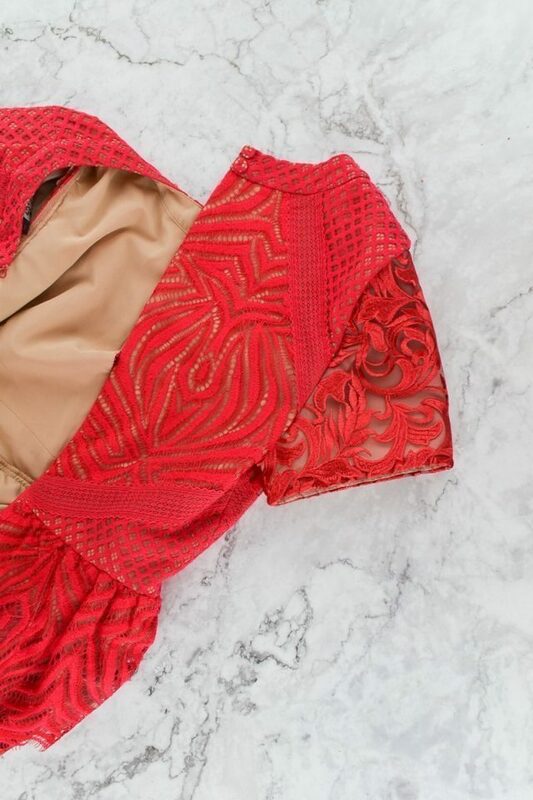 You might find the perfect dress except that it doesn’t have sleeves. 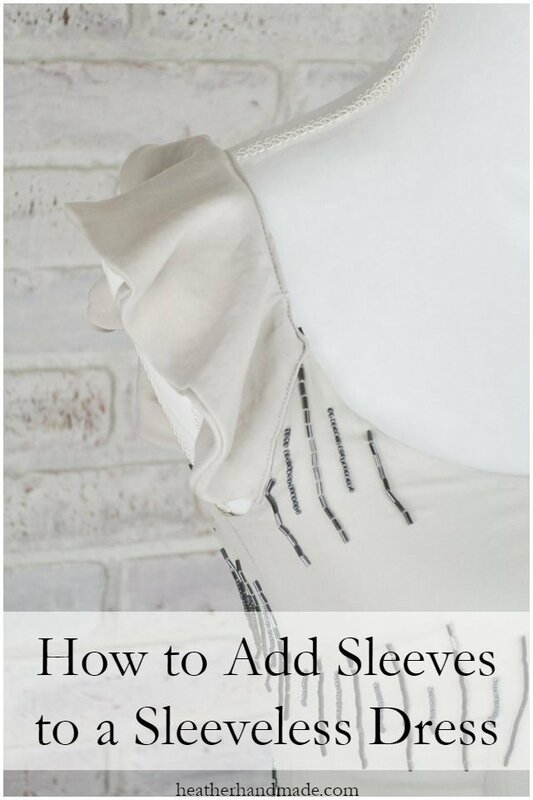 Depending on the event you are attending, you might need to add sleeves to a dress and this is how to do it! I’m demonstrating this sewing tutorial on two different dresses with two different styles of sleeves. 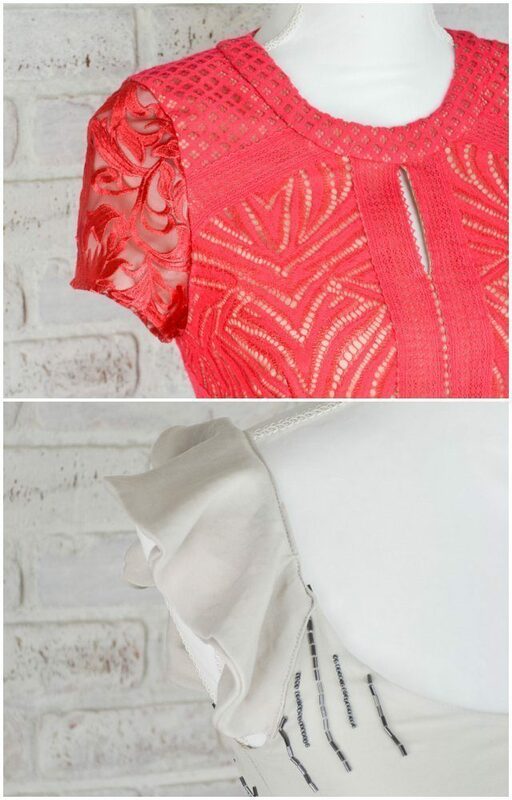 The first is how to add sleeves to a sleeveless dress and the second is how to add sleeves to a dress with straps. 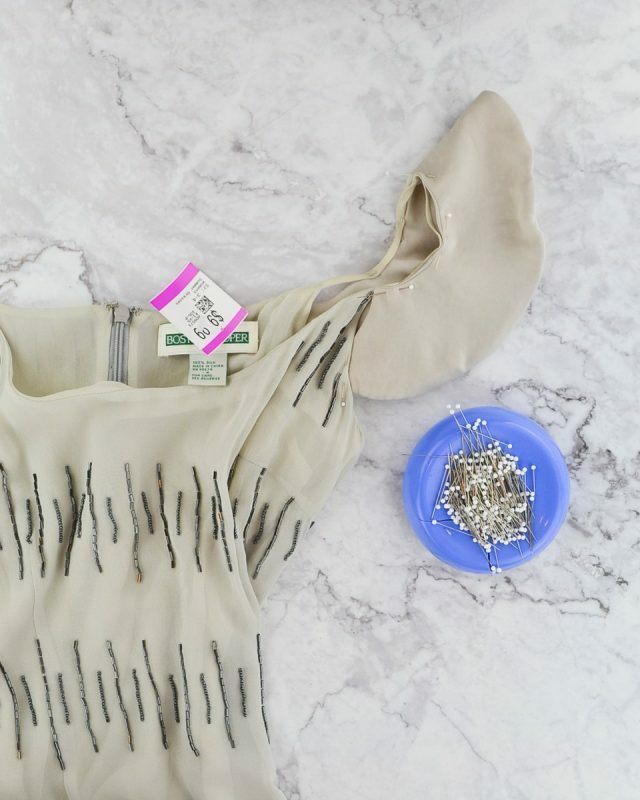 If you love this type of altering, you’ll love these dress refashion tutorials. 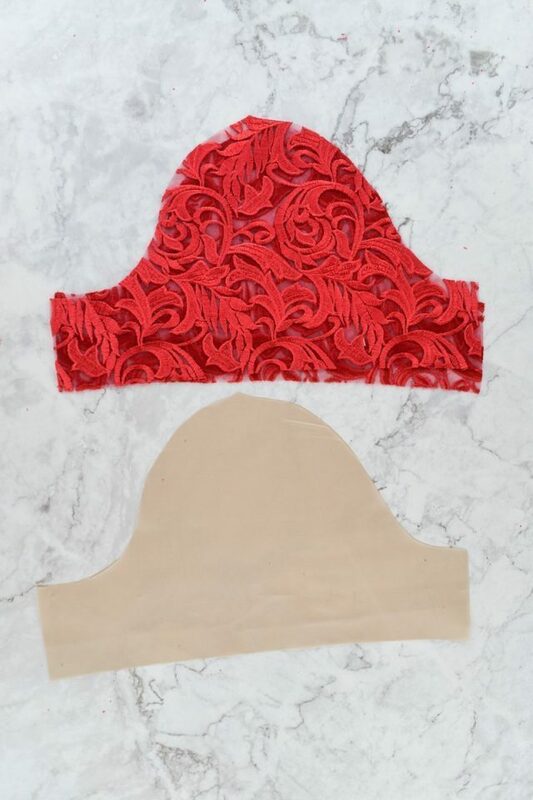 If you need to shorten the dress at all or are considering it, this is the best way to get matching fabric for the sleeves. Unfortunately, it’s not always possible. Take the dress to your nearest fabric store that has apparel fabric. Walk through the apparel fabrics and hold your dress up to all of them. Look for fabric that matches the color AND the weight. 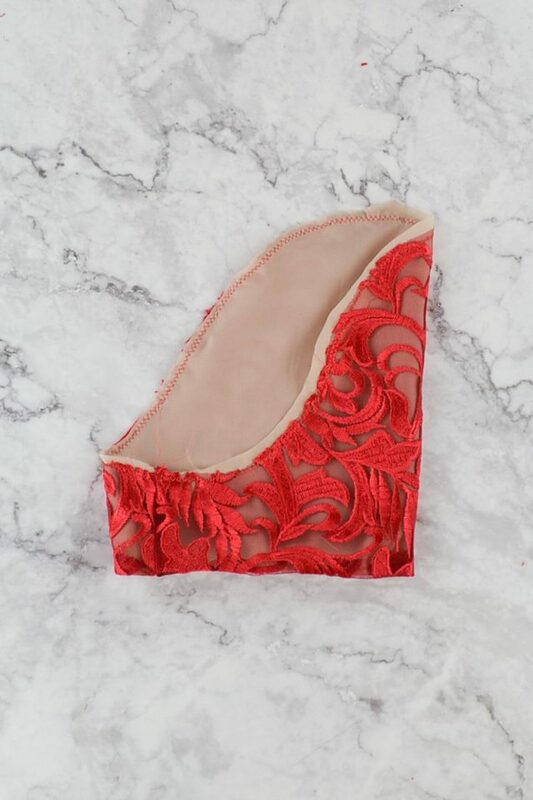 Buy stretch fabric if your dress is stretchy. 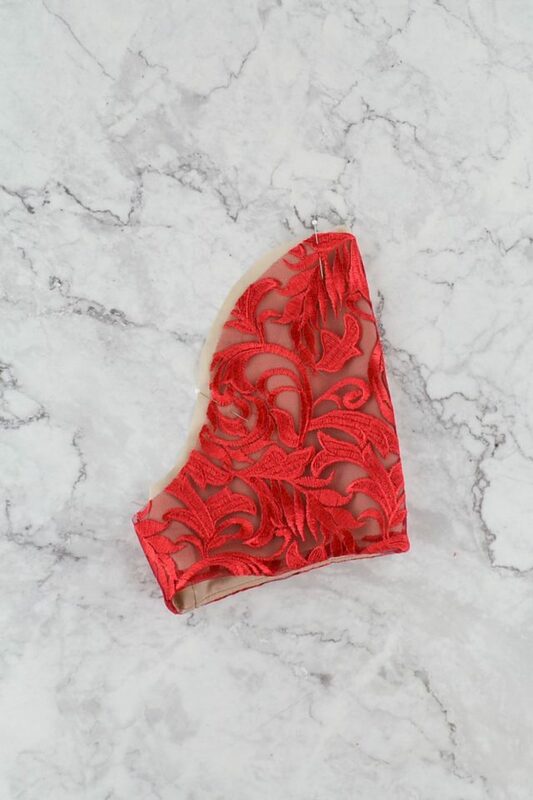 Buy woven fabric if your dress is a non-stretch. 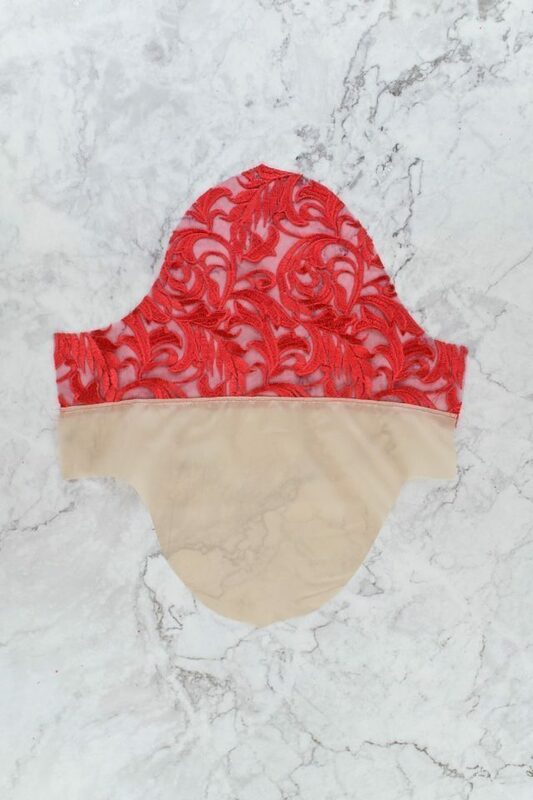 If your dress is lined you’ll need to also buy lining fabric. 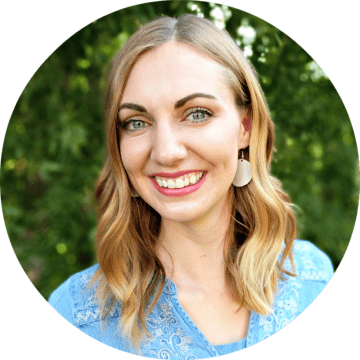 If there’s no fabric that is the same color you can look for coordinating or contrasting fabric with the same weight for a more unique look. 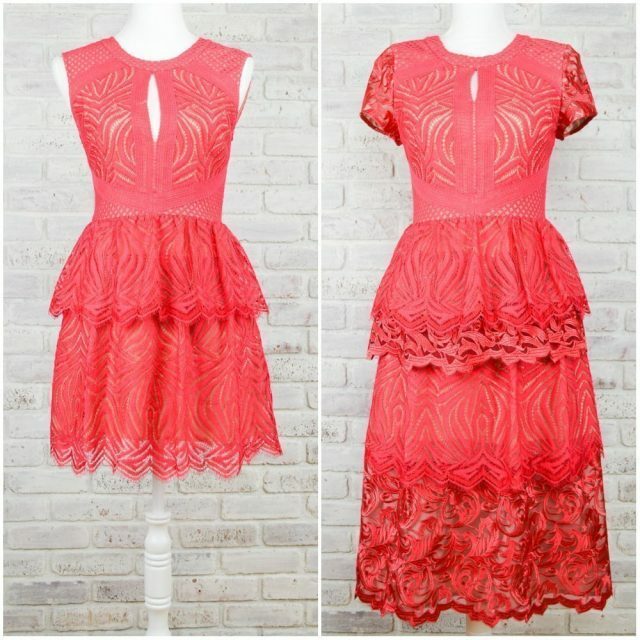 With your closely matching fabric cut out two opposing sleeves. 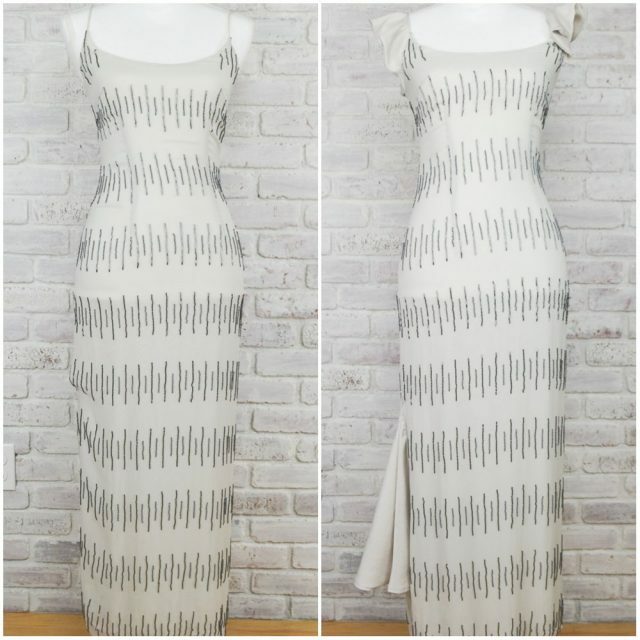 If your dress is woven then you’ll need to use a pattern made for wovens. 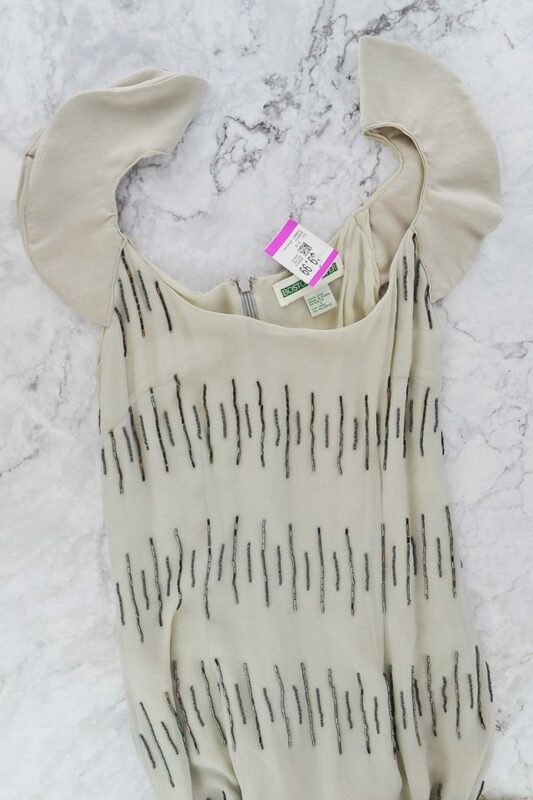 I used my woven tee sleeve pattern that I’ve used in the past. 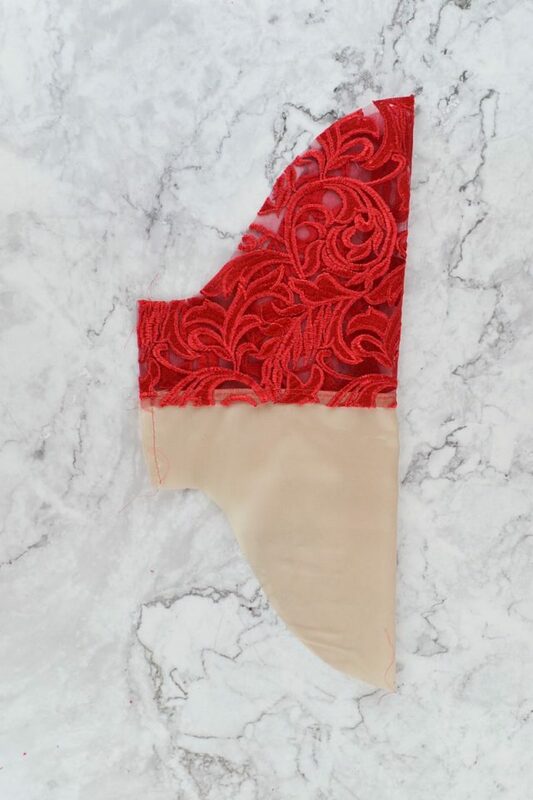 I also needed lining to match my dress so I cut two lining sleeve pieces. Sew the sleeve together at the hem and understitch the seam allowance towards the lining. Sew the sleeve seam together. Press the hem to get a nice crisp edge. 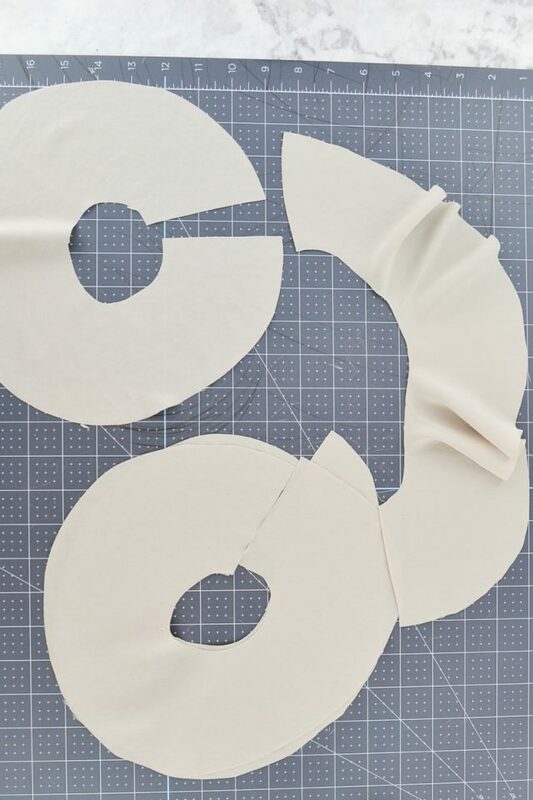 Make sure to roll the lining inside so that it doesn’t show at the hem. Pin the two edges together. The raw edges of the sleeve will not line up because of the understitching and turn of cloth. Zigzag or baste the two edges of fabric together. Trim the excess lining off. Sew it into the armscye. My dress had a finished armscye with bias binding. I still sewed the sleeve in but I made sure to not sew through the bias binding to avoid a bulky seam. 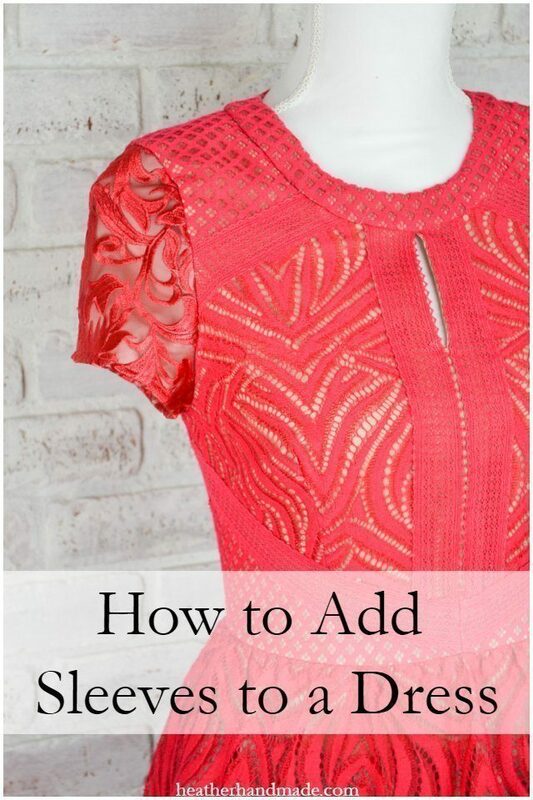 For this dress I decided to add flounce sleeves (learn how to sew a flounce). I found fabric that matched in color but was slightly heavier than the fabric of the dress. 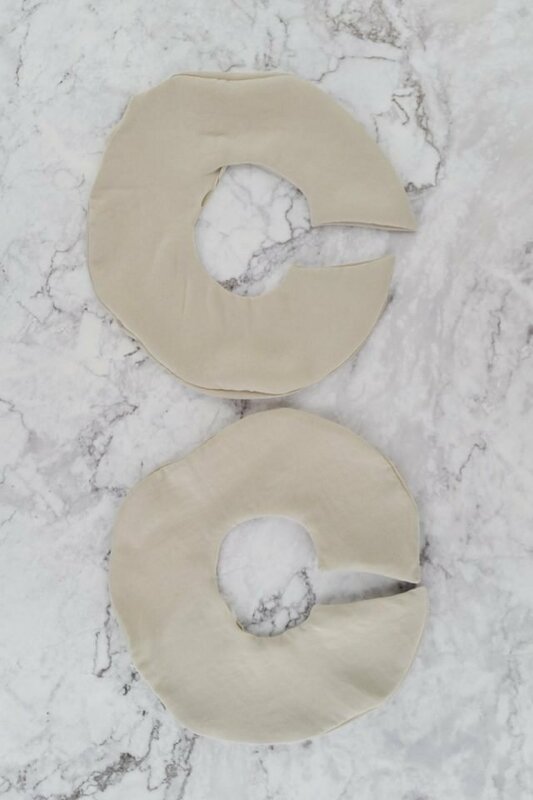 I cut four donuts out of fabric and then cut through one side. The width of one side is the length of the sleeve. The diameter if the inner circle should measure the length of the strap. With right sides together pin two flounces together. Sew around the whole thing but leave a small gap for turning. Trim corners and clip the inner circle. Notch the outer circle. Press the sleeves flat. Carefully pin the flounce on top of the strap. The straight edges can be pinned down along the armhole. Edgestitch the flounce onto the strap and along each armhole.